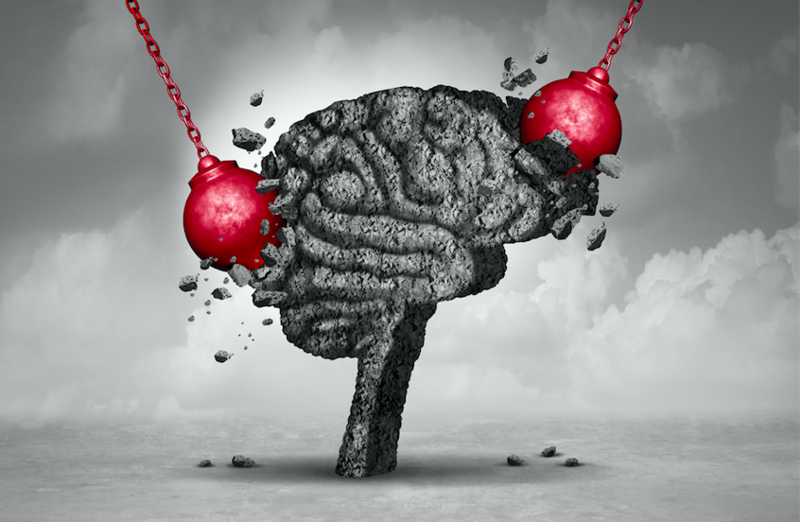 Brain Injury Clinic – How long does it take to recover from a concussion? Concussions are a mild traumatic brain injury that can typically occur when a person suffers a hit to the head. The MRI or CT scan doesn’t necessarily show any abnormalities; however, the patient may experience various symptoms that indicate the concussion. What’s interesting is that the symptoms often don’t show up for hours or even days after the accident took place. What are some of the symptoms of concussion? According to Brain Injury Association of America, the symptoms may include (but are not limited to): Headache, Nausea/Vomiting, Tinnitus (ringing in ears), Blurred Vision, Sensitivity to Light, Irritability, Depression/Anxiety, Impulsivity, Lack of Initiation, Impaired Awareness, Attention, Word Finding, and Memory Problems, Difficulty Filtering Noise, Trouble Focusing, Drowsiness, Excessive Sleep, Insomnia, and/or Altered Sleep Patterns1. Patients often don’t report the concussion, so it may turn out that the injury remains undetected. Unfortunately, when the concussion is left untreated, you may take much longer to recover. If you experienced any trauma to the head – from sports, accidents, or any other source – and feel any kind of unpleasant sensation, make sure to go see a doctor! He or she will be able to determine the proper treatment to get you back on your feet. Whatever the cause, the most important thing for you is to rest! Take your time and take a step back from any activities that can cause fatigue. Make sure to sleep, drink a lot of water, and maintain a healthy diet. That also means no alcohol during the recovery period, as the dehydration it causes will slow down the process. NeuLife Rehabilitation is one of the largest residential post-acute rehab programs specializing in rehabilitation for a wide range of catastrophic injuries. We are accredited by the Commission on Accreditation of Rehabilitation Facilities (CARF) in Brain Injury Specialty Programs and Residential Rehabilitation. Our professional staff make sure that you and your family are being taken care of by the best specialists in the area. We encourage you to find out more about our facility and our programs. If you have any questions at all, we are here for you. Call us or make a referral using our easy to navigate and convenient online form. We are looking forward to helping you achieve your recovery goals. Previous PostBrain Injury Rehab Florida – National Brain Injury Awareness Month.